Welcome to 'Camp Tahoe Lake at Rideout'! While our home school in Tahoe City is under construction, we have moved all school programs to Rideout at 740 Timberland Drive! Yay for 'Camp Tahoe Lake at Rideout!' 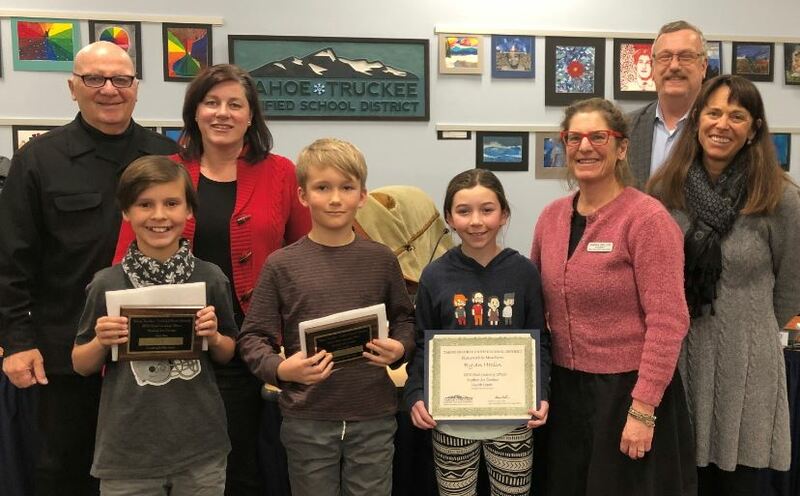 This is a big move, but we are making it great for our Tahoe Lake Cubs and taking advantage of all that Rideout has to offer in support of our science focus, including trails, access to the lake, and collaboration for all classes! If you have any questions about our move or our time at Rideout, please don't hesitate to get in touch! Kindergarten and TK and new student registration is online. We are a hands-on science school serving Transitional Kindergarten through 4th grade. We foster a love of learning and the confidence to achieve through a challenging and differentiated education for every child. We supplement core studies with explorations and enrichment including technology, Spanish, Music, Art, and PE. 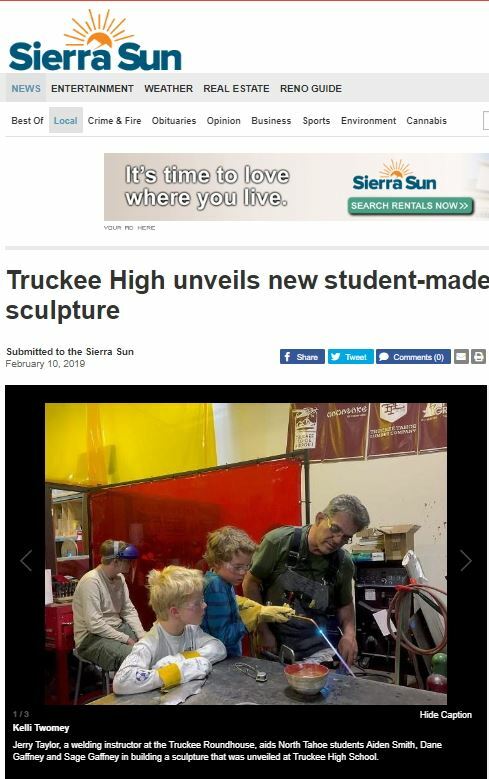 If you have any questions, please contact our Principal, Stephanie Foucek, at 530-582-2704. We strive to provide the best possible learning experience for our students and their families. If you have suggestions on how we can improve, please share them here. 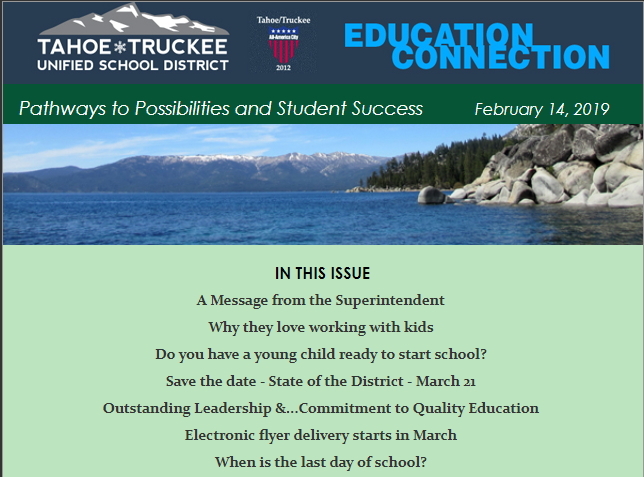 We're excited to host our TK and Kinder Preview Night and share what makes Tahoe Lake so special. The evening begins at 5:30 p.m.
Computer registration support and babysitting will be provided at our Preview Night. Please be sure to bring copies of your child’s birth certificate, immunization records, and proof of residency for enrollment. Reading is Key to Success! To help you get ready for the 2018-2019 school year, please review our Family Handbook. 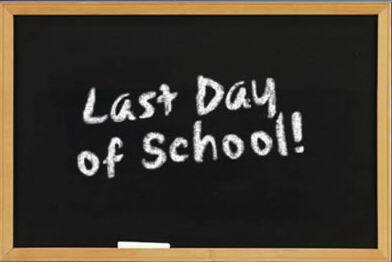 As always, please don't hesitate to ask any questions by calling the office at 582-2700 or emailing our Principal. Would You Like to Work With our Amazing Team? Please see job openings and apply here. 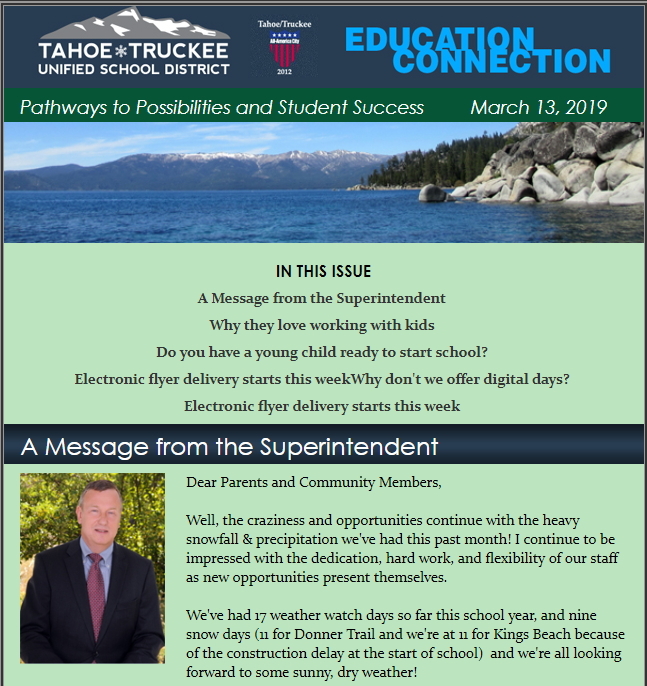 Enter Tahoe Truckee in the search bar to find jobs in our district. La lectura es la clave del éxito. Did You Miss Our School Safety Parent Night? If you were unable to attend our Parent Night focused on student and school safety, please find the TTUSD presentation here and our school specific information here. We will also be posting a video of the night once it is available. If you have any questions, please don't hesitate to get call or email.